I’ve always hyperlinked words rather than just paste URL’s in emails. 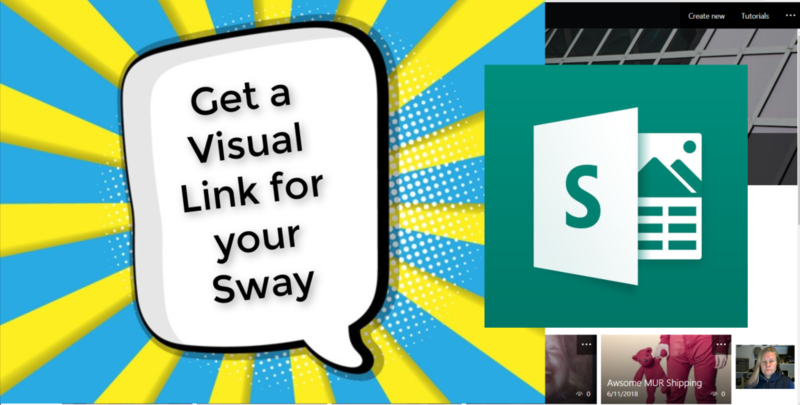 Now with #MicrosoftSway you can get a visual link which is a pretty looking preview with a link to the Sway. Simply copy the link and paste in an email. This will make you look super professional!